TBILISI, DFWatch–Georgia’s president has rejected suggestions that he is planning to set up his own political party, despite an apparent widening split between him and the government coalition. Speculations of a possible new opposition party seeing the light of day were firmly rebuffed by the president’s foreign policy advisor Tengiz Pkhaladze in an interview with Georgian newspaper Rezonansi. Pkhaladze said President Giorgi Margvelashvili considers himself a ‘part of a team’. “Talk about [the president] setting up a political party, let alone an opposition party, is nonsense,” Pkhaladze said. But Manana Kobakhidze, vice speaker of parliament, was not so unequivocal. She was asked by Rustavi 2 TV whether she felt a part of the same team as the president, and answered that after the events surrounding who would attend the UN Climate Summit in New York, it is difficult for her to see the president as part of the same team. However, the president’s office seems more conciliatory. “The president’s office is open and we have said this many times openly and publicly,” Pkhaladze said. 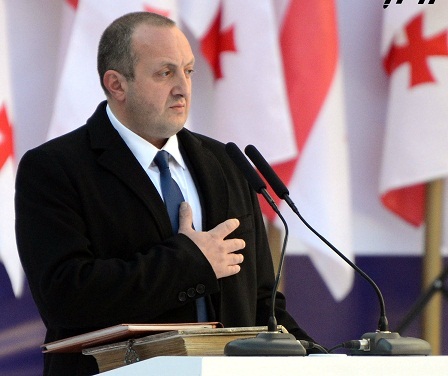 On Tuesday, Zakaria Kutsnashvili, a member of parliament from the ruling Georgian Dream coalition, visited the president at his Avlabari office to mitigate the conflict. 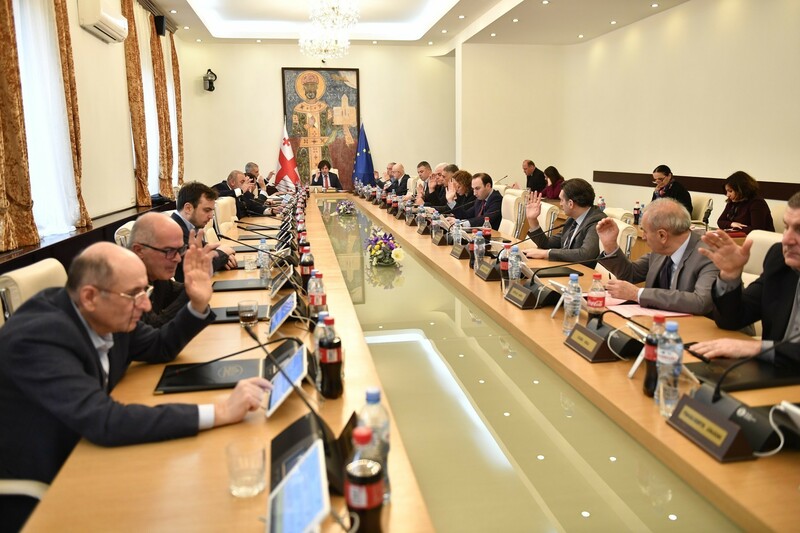 After the meeting, he also said that Margvelashvili is not planning to break away from Georgian Dream. “[The president] doesn’t plan to join the opposition,” Kutsnashvili told journalists.